iVu BCR – I/O NPN with 4.3mm lens no Ring light. Stylus; CD and Quick Start Guide. Requires power cable & bracket. iVu BCR – I/O NPN with 6mm lens no Ring light. Stylus; CD and Quick Start Guide. Requires power cable & bracket. iVu BCR – I/O NPN with 8mm lens no Ring light. Stylus; CD and Quick Start Guide. Requires power cable & bracket. iVu BCR – I/O NPN with 12mm lens no Ring light. Stylus; CD and Quick Start Guide. Requires power cable & bracket. iVu BCR – I/O NPN with 16mm lens no Ring light. Stylus; CD and Quick Start Guide. Requires power cable & bracket. 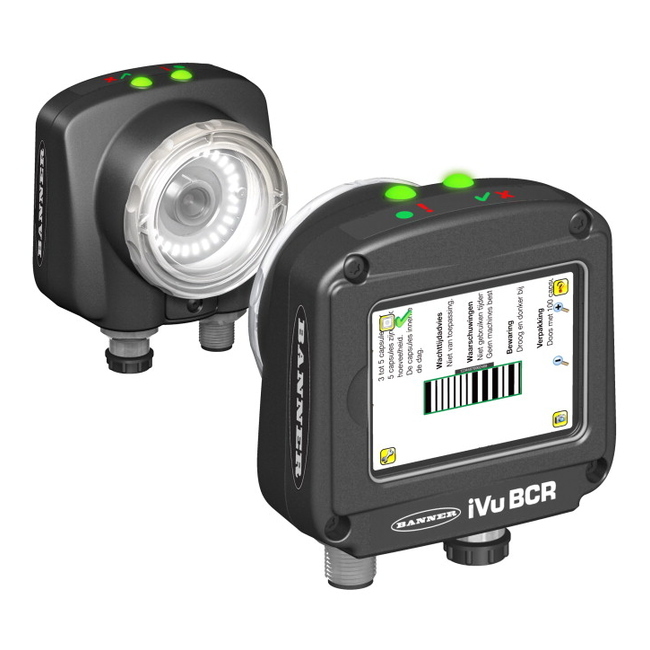 iVu BCR – I/O NPN with 25mm lens no Ring light. Stylus; CD and Quick Start Guide. Requires power cable & bracket. iVu BCR – I/O PNP with 4.3mm lens no Ring light. Stylus; CD and Quick Start Guide. Requires power cable & bracket. iVu BCR – I/O PNP with 6mm lens no Ring light. Stylus; CD and Quick Start Guide. Requires power cable & bracket. iVu BCR – I/O PNP with 8mm lens no Ring light. Stylus; CD and Quick Start Guide. Requires power cable & bracket. iVu BCR – I/O PNP with 12mm lens no Ring light. Stylus; CD and Quick Start Guide. Requires power cable & bracket.